The following is an opinion based article, not to be taken into fact, but to be considered and perhaps rejected or adopted into your own thoughts and opinions. 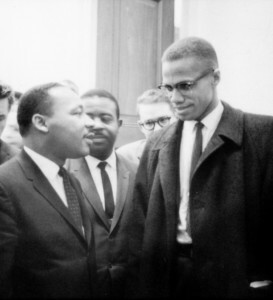 Martin Luther King Jr.(left) and Malcolm X(right), two of the most influential leaders in the African American Civil Rights movement of the 20th century, are pictured above in their first and only meeting. Why were these two men so rarely and briefly together, even though they had the same vision for the progression of the African American race?